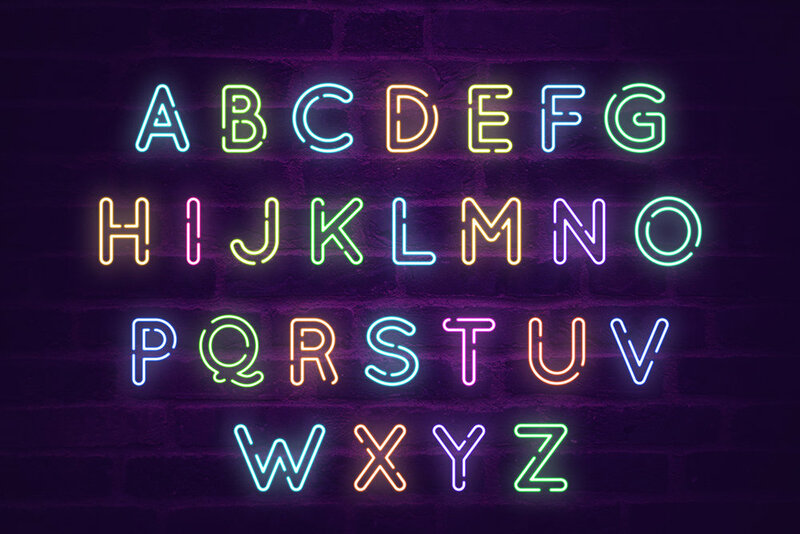 Neon One is a free font file sample from the Animated Neon Social Media Kit created by Brandspark. This OTF file features a full uppercase character set as well as numbers and basic punctuation all with a classic outlined vintage neon style. Download it below! The full product includes the following, and can also be previewed below!